Are you planning on starting a 4x4 auto repair shop? Or looking to add 4x4 vehicle repairs to your existing auto repair business? 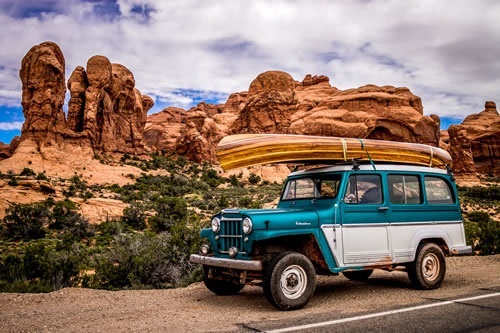 You should know that there are special insurance considerations if you offer 4x4 repairs that are not a concern for general auto repair shops. First of all, a general auto repair policy excludes recreational vehicles. Due to the higher degree of risk, it’s hard to find coverage with admitted carriers (insurance carriers approved by your state). Insurance may only be available as surplus / excess lines - this allows policyholders with unique risk to obtain coverage not available through admitted carriers. Also, 4x4 coverage most likely won’t be written on a direct primary basis, but as a legal liability. There’s a big difference between the two of these. What is the difference between direct primary and legal liability coverage? Direct Primary coverage provides coverage even if the loss is not your fault and you are not legally liable – the owner of the vehicle gets paid through your insurance company regardless of who was at fault for the loss. With Legal Liability coverage, the vehicle owner submits the claim to their own insurance company - your insurance company only pays if you are found legally responsible for the damages. Direct primary coverage is better for the customer, but can lead to costly rate increases for your business. What insurance products do I need for my 4x4 auto repair business? Garage Keepers Coverage – either direct primary or legal liability. This protects you in the event a customer’s vehicle is damaged or stolen. This will cover both operations and premises. General Liability – This is optional and usually included on the garage keepers coverage form. What other insurance coverage might I need? Property Coverage – to cover your repair shop / garage, your tools and equipment, and your employee’s tools. Business Auto Insurance – if you have business-owned vehicles. Are you shopping for 4x4 auto repair shop insurance in the Grand Junction area? If you’re on the Western Slope of Colorado, DC Insurers Montrose can help you get the best rates on the coverage you need. Call us today at 970.901.0062 for more information or a free quote!